Our fees are on a sliding scale between $15 and $35. You can decide for yourself what you can afford to pay, no questions asked. The treatment you receive, and the amount of time for treatment, will be the same regardless if you pay $15, $35, or something in between. We have the sliding scale so that as many people as possible can get as much acupuncture as they need to get and stay better. New Patients also pay a one-time $10 New Patient fee, in addition to the treatment fee, so the New Patient first appointment costs between $25 and $45. To pre-pay for appointments, we offer a “punch card” good for 10 appointments, and receive an 11th treatment for free. Punch cards may be purchased on a sliding scale between $150 and $350. 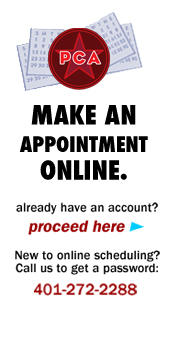 The pre-paid appointments will be added to your account as credits, so you don’t have to carry an actual card around. The punch card does not cover the $10 New Patient fee. Credits are not transferrable to another patient. A refund for unused credits can be requested at any time. We do not bill insurance, but would be happy to offer a receipt for your visit so you may submit it directly. To take advantage of any of our specials let us know BEFORE YOU PAY if one of our specials applies to you.